I was a bit under the weather yesterday, so Ryno surprised me with beautiful flowers. Unfortunately, we had to use the one vase we have and turn it into storage for kitchen utensils, so here was my solution. 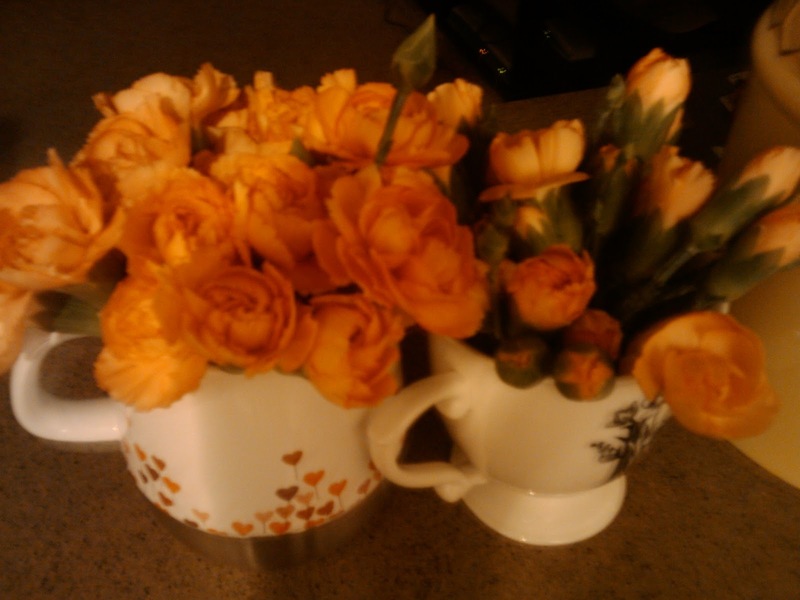 Personally, I love flowers in mugs. It's such a happy thought.